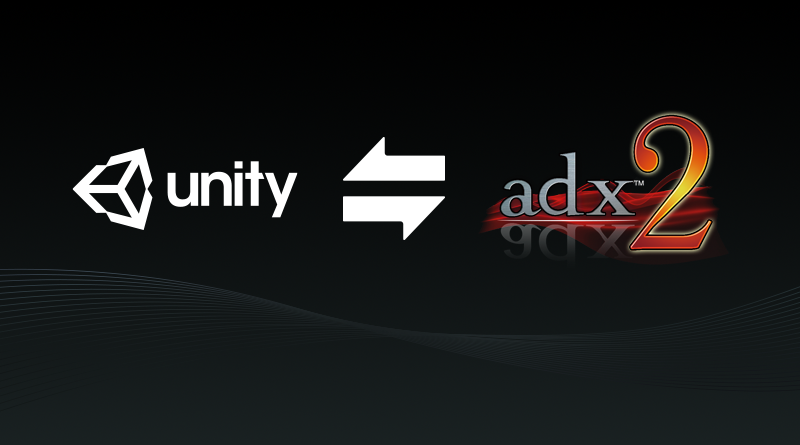 This is our second tutorial about the integration of ADX2 with Unity. This time, we will see how to import the binary CueSheets (i.e. 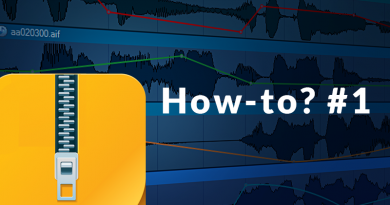 sound banks) exported by AtomCraft into your Unity project. 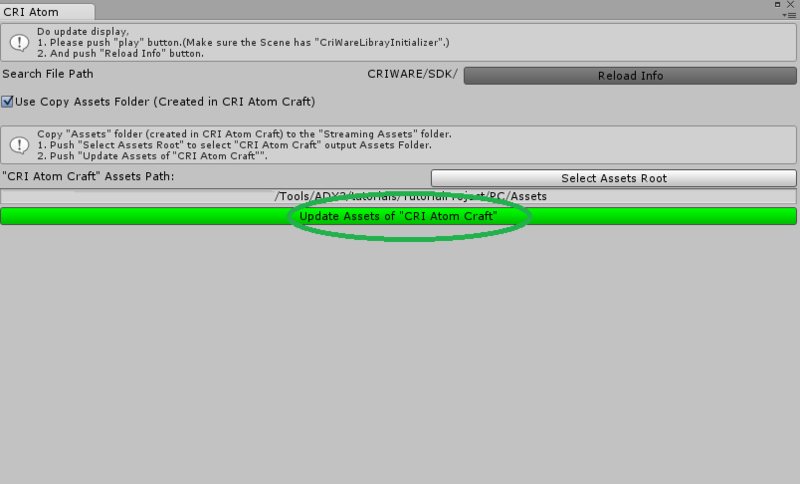 First, go to the [CRI] menu and select the [Open CRI Atom Window] command. 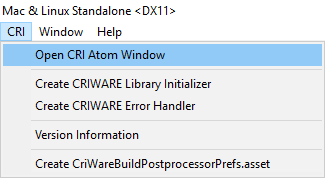 The [CRI Atom] window appears. Click on the [Use Copy Assets Folder] check box and click on the [Select assets Root] button. 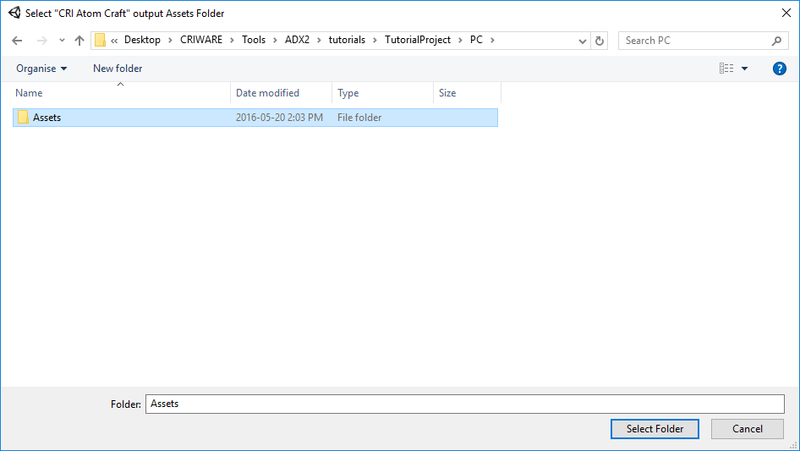 Now, browse to your AtomCraft export folder, where the CueSheet Binary Files are and click on the [select folder] button. 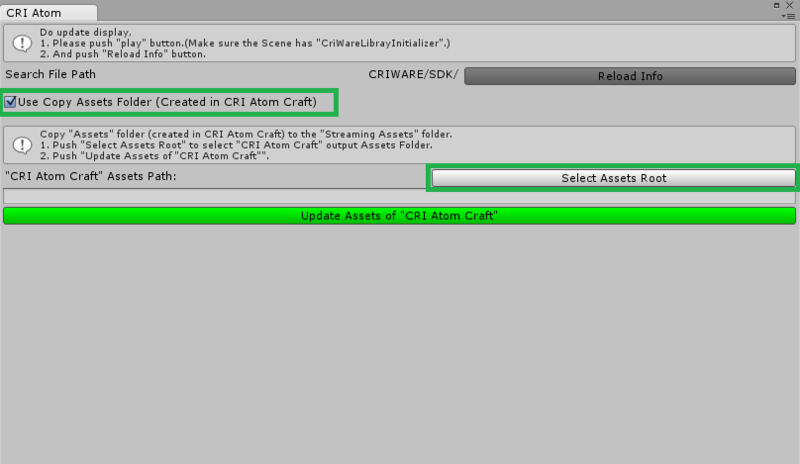 Finally, click on the [Update Assets of “CRI Atom Craft”] button. 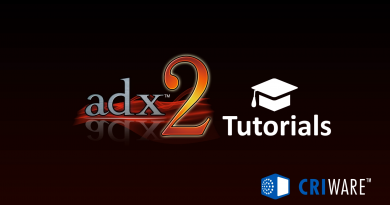 In preparation of the next tutorial, in which we will actually play the Cues, we will also add an Initializer component and an Error Handler component. The former will let us configure the CRIWARE package, while the latter will notify us if there are any warnings or errors. 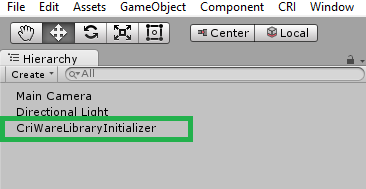 First, go to the [CRI] menu in the Unity menu bar and select [Create CRIWARE Library Initializer]. The CRIWARE Library Initializer appears in the Hierarchy window. 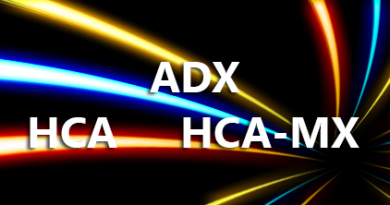 Do the same for the [CRIWARE Error Handler]. And that’s all! No need to change the options at this point. Make sure to check the blog soon for the next entry in this series, which will see us attach sound sources to objects and play them!